Simply put, It’s my opinion that the Leica M6 is the best of the film M bodies that you can hope to shoot with. How I came to realize this only took me a MP, a M3 and a M4 to show me just how good the M6 truly is. Purchasing something like an M is a huge commitment, as well as a big chunk of change for most people. Things like clothes and shoes can be tried on or compared with similar products quite easily and most of all, returned for your money back if the product does not work to your liking. I am loath to buy a car because I cannot test drive it for a week under different driving conditions. Being able to have a chance to try out something for an extended period of time makes all the difference. However not many of us can go to a camera shop and ask to borrow a camera to see if we like it or not. You see it, you like it. You like it? You buy it. You use it, but you do not really like it. Now what? “Now what?” That’s a question that I asked myself three different times, and came up with four different answers. This is the story of how I started to buy a M6, and how I eventually ended up with a M6. It only took me the other M cameras I tried to show me just how good the M6 truly is. My story starts with me wanting something more than my digital camera could offer. More often than not, it was found sitting on my shelf, not being used. When I did use it, of the many shots that I took, most would be deleted on camera and the few that remained were put into the computer, never to be accessed again. I found shooting with a camera fun, but I wanted something that would engage me more. I decided to give film a try, and began looking for a film camera. I wanted something that could be used daily, something robust, and I wanted full manual control over the camera. My research led me to Leica. Specifically, an M6, and that is what I went looking for in Tokyo. (I live in Japan) I spent the better part of a day looking at countless shops, but aside from one shop, a black M6 was not to be found. Knowing that I could come back, I continued onwards and at the last shop of the day, I found a black paint MP. I was seduced by its heft, smooth feeling, lovely black paint and atmosphere. It was well out of my budget but lo and behold, out of the shop I came with the MP around my neck. And it was great! I loved shooting with it, the feeling and aura that surrounded the camera was just too good. It is a camera that has its own well deserved following and is a pleasure to shoot with. Everything was going smooth until my camera’s shutter button began to start sticking. Not too much of a major problem, but still a problem nonetheless. Wanting to get the camera fixed, I began to reach out to various shops and asked about the repair for the MP. No place would touch it, not one. Any other film body and a repair job would be possible, only the MP could not be repaired. This was very alarming and I got in contact with a friend who shoots two MPs. He also told me that they were quite fickle and he had to send his cameras to Leica Germany for repairs numerous times. Not only was the repair bill close to a third of the cost of the camera, but he said the most difficult thing was being without his cameras for the better part of the year. How could this be? What was so different about the MP verses any other film M? Needless to say, I did not have the extra cash lying about for what I thought would be a rather simple repair, nor the time. During this time, I was advised to have a backup body which is a great idea if you shoot quite a lot. I again began to research about what camera to get, and settled on a M3. My reasoning for this was that it was the most like the MP as the MP was sort of regarded as a spiritual successor to the M3. So I took my time and located a M3 in great shooing condition. It was recently overhauled and had a one year warranty as well. I again went to Tokyo to get it and in no small order what had supposed to be my backup body. It quickly became my daily shooter, with the MP playing back up. The M3 was loads of fun to shoot with. The M3 was better built, more smooth than the MP. There is just something about it that made me want to shoot more. 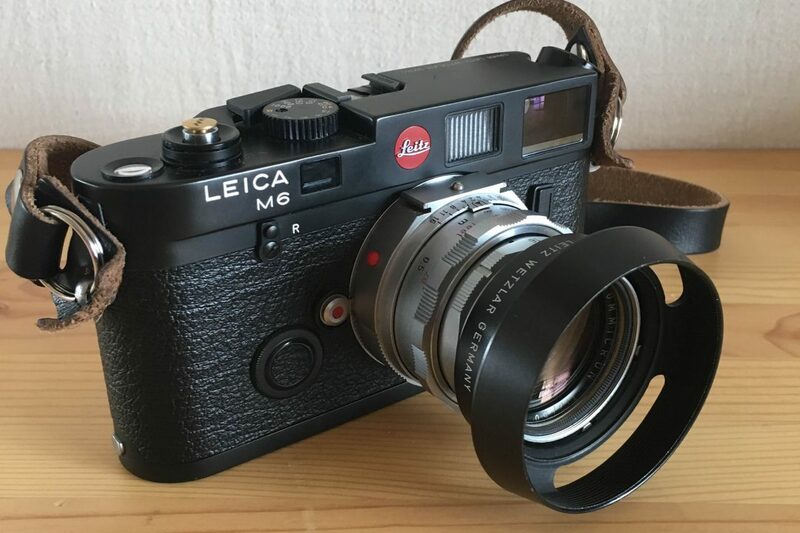 People talk about the finder of the M3 as the best in any Leica, but for me, it was nothing special. I found that I could get along with either the MP or M3 finders. I was happy and content with my M3. Then, one day, I brought it to my eye, there was something inside the finder obstructing the view. I shook it lightly, turned it upside down, tapped it a bit, but nothing seemed to help, so I called the shop where I had bought the camera and explained the problem. I had thought that the warranty would cover whatever happened to the M3, but I was in for a rude surprise; the warranty is only for the overhaul, not the camera. The shop owner said that most likely my camera had some sort of mirror separation and that it (the mirror separation) was not covered by the warranty at all. If I wanted it fixed, then I would need to buy another M3 and switch the parts. I was floored by shock. The modern classic MP, the classic M3, both cameras whose reputations were legendary, both were causing me problems! A lot of money and time would fix these problems, both things that I was quite short of. I sent the M3 to the shop to be looked at and received it a week later. The problem? Some dust from inside the camera had landed on the mirror and after a simple cleaning, it was ok to use. Even though both the MP and M3 were still usable, I was left feeling like something worse was going to happen to either of them. Warranties were worthless, prestige was pointless. I was still searching for something that was eluding me. I was beginning to become a little nervous to shoot with my cameras. My MP was too expensive to deal with, and my M3 seemed to be rendered useless at any time. There were also other little quirks about both the cameras as well that I did not notice beforehand, but after shooting with them, those little quirks became bigger pains. For example, the film rewind knob on both the MP and M3 are quite slow and sort of difficult to use. It takes a bit of time to rewind the film back with them. The take up spool on the M3 also makes for slower shooting, especially if you are trying to shoot your kid doing something funny. These are things that you would only find out if they bothered you after you had used the camera for a while. The leatherette on my M3 also fell apart and was replaced with a newer version, but the grippiness had changed. The sharkskin grip on the MP was also something that after using, I found that I did not really like. This all might sound rather nitpicky, but for what I had paid, and for how I was using the cameras, I was expecting more. I made another decision and traded in my MP and M3 for a M4. And this time, I knew the right questions to ask. What would the warranty cover? How extensive was the overhaul? How is the condition inside the camera? How can I make sure the camera is working in tip-top shape? (The answer to that is by using it! I was told that since the camera is a mechanical device, it benefits from use. That makes sense when you think about shelf queens whose insides quickly go out of mechanical shape.) Even to this day, the swap for the M4 is a decision that I do not regret. The M4 was an absolute dream to shoot with, and for a while I finally felt that I had found a camera that really grooved with me. It was also during this time that I began to piece together the necessary items for a darkroom. Up until now I was sending my self-developed film in for scanning, and was really anxious to begin printing my own work. 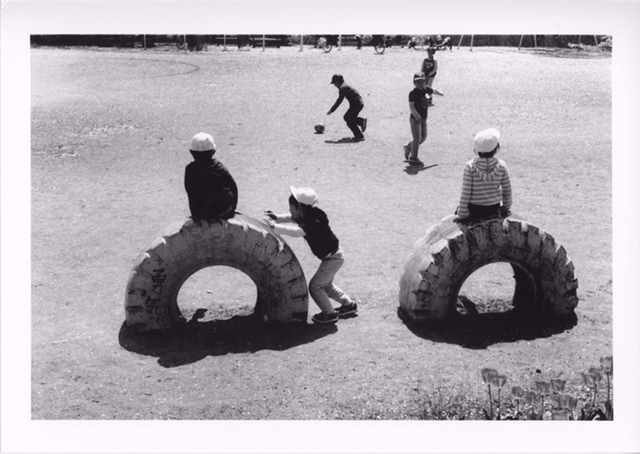 As a direct result of this, I began to notice that my negs were either over or under exposed, and that makes for difficult printing to say the least. Dealing with an external light meter is a pain in the neck that until now I had not really noticed, at least for an extended period of time. The internal meter in the MP was very handy, and the VC-II meter on top of the M3 and later M4, while handy, is another step between shooing. Sadly, the M4 had to go. Whereas trading in the MP and M3 was done without any regret, I still lament getting rid of my M4. I cannot really put that reason into words, but letting it go was difficult. Perhaps when I become better with the Sunny 16 rule and learn to read different lighting situations better, I can find another M4 to use. MP to M3 to M4. That is a lot of cameras, and still I had yet to find one that I truly bonded with. Thanks to Instagram I was tuned into a great little lens shop in Tokyo. The owner of that shop had put up a M6 that was for sale and I immediately called. The M6 was recently overhauled by the best repairman in Japan. I then had to talk to the wife, and more importantly, with myself. If I was unable to bond with this camera, then perhaps I should think about another hobby. Back to Tokyo I went and to the shop. The M4 was parted with, and I had in my hands the camera that was supposed to start it all, the M6. It looked like new, and was overhauled to the point of what a new camera would have been like. It was a dream come true. All the right boxes were clicked; light meter, wonderful finder, black chrome, M4 style film advance, (I prefer it to the MP/M3 style one) and awesome Leica quality. But even then I was weary, what problems would arise? What if this camera was not up to the job? A lot of doubts where hanging over me about this camera, was it going to live up to what I hoped? I picked up the M6 in January of this year, and have used it daily, to the point that the black chrome is beginning to wear through. The once white paint is fading into cream. It has the usual scratches and signs of being used. Perhaps the best thing I can say about the M6 is nothing. There is nothing to say about it whatsoever, simply because I am using the hell out of it. It is out around my neck starting in the morning, and even worn during my classes at my schools. Quick runs to the store or out for a walk with my son, the camera is there, being used. 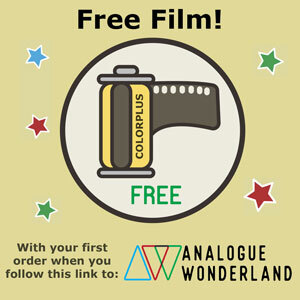 I have gone through seven 100 foot rolls of film, which is the most ever that I have used, with the M6. It has even come with me to the States for work and a vacation to see the family, with absolutely no problems. There is nothing that stands out about it at all, which is a huge complement. I can simply shoot, worry free. It has been so good to me, that I bought a second body from the same lens shop. This one is new old stock, and after a quick look over by the same repairman, I received it in August of this year. Two bodies and two lenses, total happiness. And after using the MP, the M3, the M4 and the M6 I have concluded that the M6 stands above the rest as a camera. You will hear phases like best bang for the buck, or the M6 as an entry level camera to the world of Leica, but I feel those phrases are quite rude to what is to my experience is a superior camera. You also find things written about it saying that it is inferior to previous bodies, lack of brass, lower quality gears, and a slew of other gripes. Funny enough, I have not felt any problems whatsoever with the two of mine. I think that this boils down the quality of the camera and overhaul, but mostly due to rumors. Both of the M6s feel better than the MP ever felt, and I am certain that the M3s overhaul was lacking in too many areas to be counted. The M4 was the smoothest body I handled until I got my M6s. About the only real difference between bodies that I can say is the shutter sound, the M6 has a distinct shutter sound that I really notice, and like. So I will say it again, for a film body Leica (or perhaps any Leica??) it’s my opinion that you cannot go wrong with the M6! Very interesting personal memoir. However, the general opinion, and my own experience, is that the M3 is better-built and has a better finder than the M6. The M3 feels better and sounds better. Its rangefinder base length is considerably longer than that of the M6, even the M6 0.85, which should lead to greater focusing accuracy. There is only one frameline visible at a time in the finder, whereas the M6 0.72 shows two framelines at a time, which can get confusing because the framelines are not labeled. As to the meter, it doesn’t add much bulk to the body, and once some practice is obtained with estimating exposure, it can be removed; actually, observing the actual f-stop and shutter speed you’re shooting at, instead of just looking for LED brightness, is a good way to learn. Also, I’d be curious to know the Japanese dealer who sold the author his M3. It was probably not Lemon, the big Leica, etc. store in Ginza, and I’d want to keep away from it. The M3 has no mirrors to separate, although there is silvering on the prisms. Finally, my experience is that sticking parts on cameras can be fixed by letting them sit out in the sun for a while; that warms up the lubricants inside, whereupon the sticking part–usually a shutter release or, with a Compur shutter, the cocking lever–can be exercised many times to distribute the lubricant. If all else fails a tiny drop of penetrating oil applied to the sticking part (or some interface on the camera body which connects with it–e.g., the gap between the shutter release and the surround), left to work for a day, might be tried. (I wouldn’t use penetrating oil on the rangefinder optics, though; the closest I got once dared to get was to free up a Canon 7 RF frameline selector knob). glad you like the M6, it is a fantastic camera! the MP was great, and if there was a shop that would perform service for it where i live, then i do not think i would have gone on this camera buying adventure. i am working on a post about my DR Summicron that i would love to have posted, hopefully that will work out! An interesting and expensive journey! I’d be interested in how you get on with the DR Summicron on your M6 as not all DR’s will couple properly with it. Could this explain why none of your posted images seem to have any sharp plane in them? Or is this down to the scanning? i have heard that some DR’s will not couple with the M6 before, but my understanding was the M6 ttl was the one in which problems might occur…physically i have had no problems with mounting the lens and it have always worked fine for me. my DR is from the early sixties, and my M6 bodies are from the earliest and latest batches of M6s. i will check with the shop that sold me the M6s and DR, and i will get back to you! i attribute the lack of sharp plane to a number of factors, first and foremost being that my developing technique is needs refinement, in some of those posted images i was pushing my film (something that i no longer do) and my schools scanner is something out of the stone age. not all of those images were made with the DR as well, which reinforces my desire to change my developing process. my son recently had a small coming of age ceremony in which i used my DR with kodak portra 400 and the images were sharp as all heck! i will check back with the shop and let you know Terry! Hokari57, somehow I got my reply confused and responded to Marty! From what you said about the the scanner, this would seem to be the weakest link here. I was wondering how you get on with a DR Summicron and how the spectacles work on an M6 with its smaller magnification v/f, bearing in mind it is directly contemporary with the production years of the M3 and for which I believe it was intended. i am the same guy, just had my profile name changed for this website! no worries! i called the shop where i purchased the cameras and the DR, and i was told that on the classic M6, (not the ttl version) the DR Summicron works as it would on any other production M body before the it. 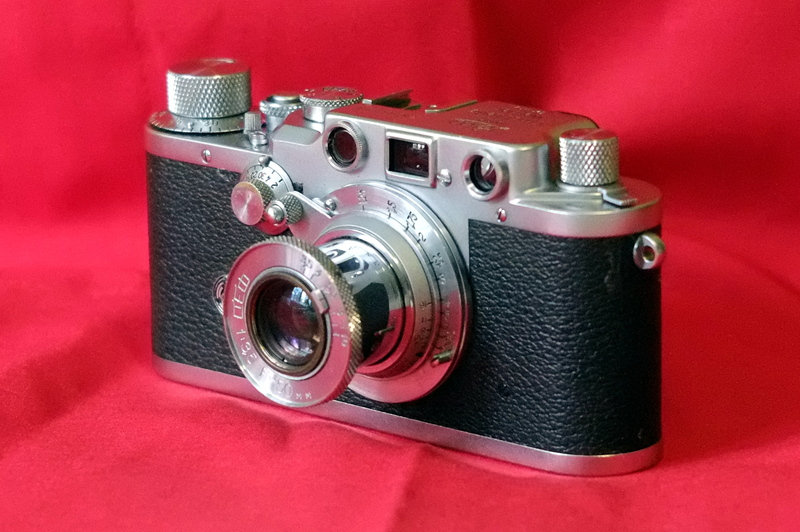 after the introduction of the M6 ttl, the top of the camera was heightened buy few millimeters which would render using the close focusing goggles useless. the M6 ttl, M7 and digital bodies cannot utilize the goggles i think, but i cannot say for sure…the film MP and MA should be able to use the DR.
unfortunately i do not know the technical specs of this lens other than using it. it works wonderfully with the M6, goggles and all, and is a joy to use. 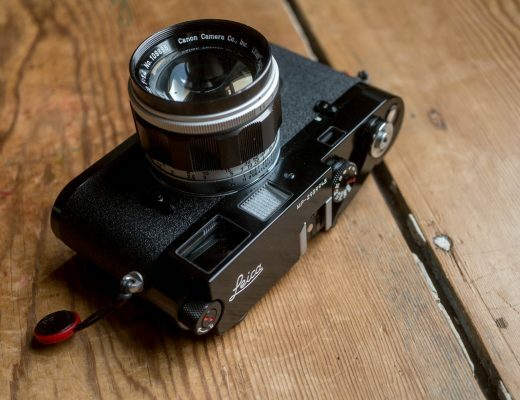 currently i am writing a review of the DR Summicron that hopefully Hamish will publish. it is a great lens to use and i have not encountered any problems with almost a year of use. please look forward to it! 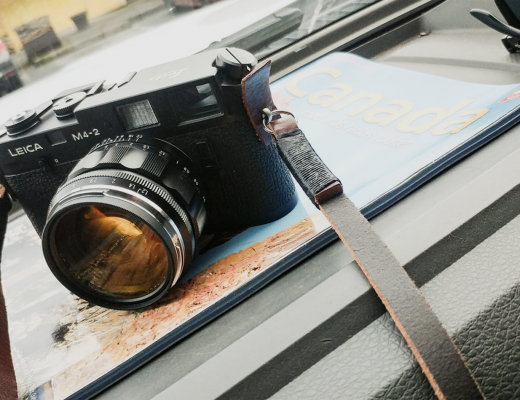 I, too, took a similar ‘journey.’ A venerable M2 serves as my M-style back-up, a CL (out for a rangefinder adjustment) serves as my local walkabout camera, but I sold my M6 for an M7. Over the course of decades, I had two M3’s and two M4’s. I got my M6 from a friend who needed $$$ to fix a transmission on his car (he had 2). The auto exposure on the M7 seems a logical design choice for a camera that has built its reputation on stealth and non-intrusiveness. Simply compose, focus & shoot. I found that I was a bit too slow to adjust exposure w/an M6 when on the street or traveling. This was my personal problem…it in no way implies there is a flaw w/the M6. The M6 & M7 are good choices when with a group of friends or when quick handling is required…when I want to work alone, and I can devote some serious time to wandering & looking, I’ll grab the M2 and a hand-held meter. The M6 will not cease to work if the batteries give out, my M7 restricts me to 1/60 or 1/125 if the batteries fail (I carry a back-up set). 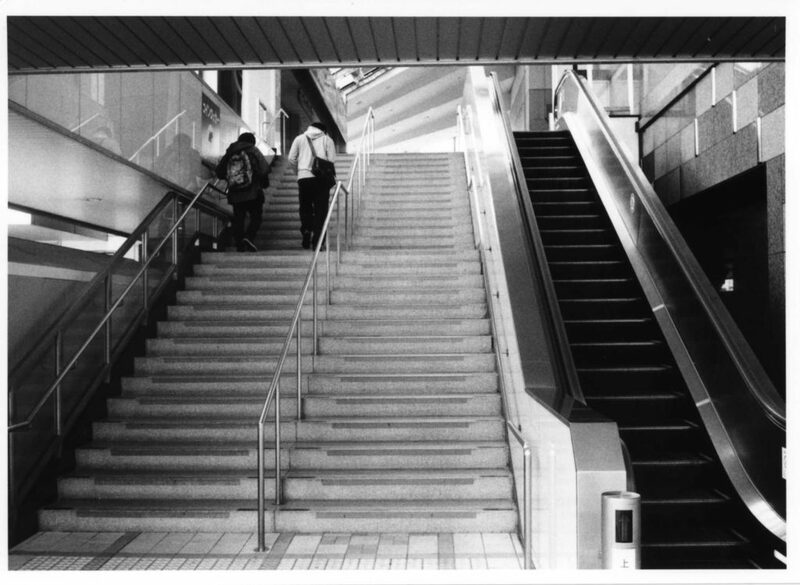 Like you, I use the 50mm lens and I process my film in my own darkroom. The M6 is a great tool and will go on forever. Wishing you great photo opportunities! thanks for your kind words Dan! i also looked at a M7 briefly, but having the shutter speed knob turn the opposite way was something that i just could not get used to…and after using the other M bodies i was pretty used to gauging the light. i know that my son is looking forward to using one of papa’s cameras, while the wife sometimes ponders out loud why i need a second body…if you have a good retort, please let me know! i hear you about the knob preference…that seems to be a very personal choice. having started with the MP and using M bodies that have the same knob, the M6 classic was the best choice. i also looked at a M7, but the knob was something that i just could not get used to. Great post. I have been on the same journey going through an M3, M6, M6 TTL, M4-P, back to an M6, Hexar RF (fantastic automated camera but very noisy) then a Zeiss Ikon (I loved its features but not its feel) before settling on an M7 and a freshly CLA’d M4-2. I agree the M6 really is the perfect camera in theory for me but I have found that in certain situations I just like quickly moving the frame to the shadows, holding down the shutter button to get the speed (and most importantly knowing what the speed is), reframing and taking the picture. I found with the M6 that having to check the top dial for shutter speed and then not knowing whether I was 1 stop or 3 stops over was a bit of a hassle. If I am out shooting around the suburbs on long walks, as I love doing, then I always take the M4-2, set the lens at f8 and I have plenty of time to use the Sunny 16 as the light isn’t changing much across the afternoon. I always get the right exposure especially with the latitude of Portra. I love how the M7 can be a fully automated TTL flash automated monster for when I am shooting an important family event but can just as easily come back to being a fully manual camera and even work at some speeds without batteries – best of both worlds and a beautiful coated viewfinder that doesn’t flare either. thanks for your comments! it is great to see that others have been on the similar journey to find a camera that works for them! i have missed shots due to the manual aspects of the camera…a pain sometimes but it has helped me to become better at reading the light and moving the controls of my camera before i put it to my eye. enjoy using that M7 and M4-2! Great article on your journey. One of the best things about Leica M’s is that theres a favorite for everyone. There isn’t one “right” answer. Having used an m2, m3, m4 & mp, my favorites by far are the m2 & m3. I use them daily, prefer the film loading spools, slower rewind knobs & simplicity of their viewfinders. exactly, you summed it up perfectly, there is no “right” answer! if you find something that works for you, that is all you need. i do want to get a M2-R later down the road, the simple frame lines and M4 film take up would be great to shoot with, but for now i am content with my M6! enjoy your M3! @ ECDY: I find that if I sit out in the sun, my stiff bones warm up…but I do on occasion sip a bit of Jim Beam as a lubricant…. 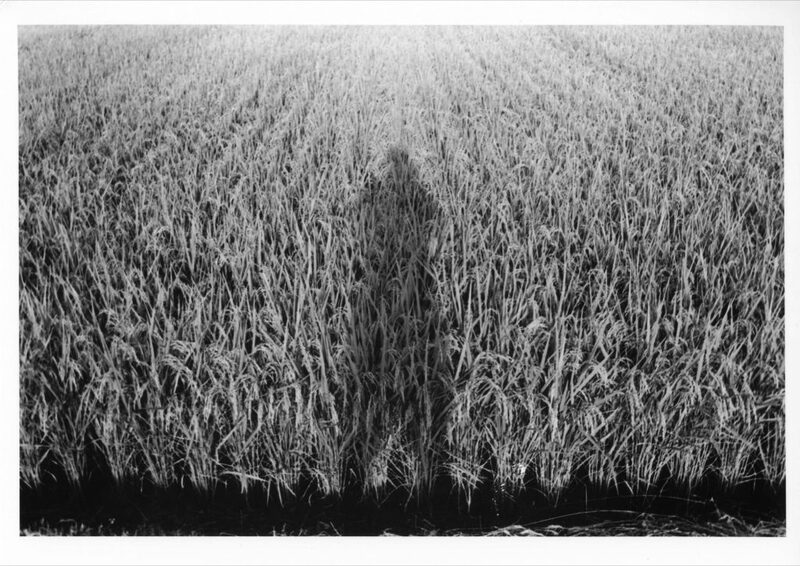 I like the set of B&W pics you included in your review….tough to pick a favorite, but the shadow against the wheat (?) is nice & abstract. Anyhow, good article, good responses and the best takeaway: everyone finds that particular piece of equipment that works for them. Loved to hear about your journey. 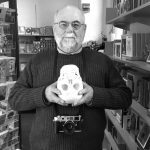 I agree with the other commenters also, there is not one Leica M that is perfect for all, but instead it’s a journey to find the “one” M that works best for you and your style/prefs. I actually started with the M6 TTL and it was just ok for me, didn’t care for the chipping paint down to the chrome. Also I didnt care for the film advance lever. I eventually sold it after a year and migrated to an M3 and a Zeiss 50mm and forced myself to learn sunny 16. I really liked the M3 viewfinder and the smooth gearing and brass of the M3. At that time I was fine shooting street with 50mm, but over a year of use I eventually wanted to go wider and moved to an M2 black repaint acquired from JCH/Kanto. It’s my dream camera that I plan to keep forever. I mostly shoot street and my family using a voigtlander 35mm and the M2 is perfect for me. I may be lucky, but never had any issues or mechanical problems with all three M cameras. Five years ago I would have thought it woukd be crazy to only meter with sunny 16 but it’s actually not that hard to learn, and for me it has really forced me to learn how to see light. Thanks again and take care! sorry for the late reply Shawn! i am currently using a 50mm and also find it difficult for street work. looking forward to getting a 35mm lens again, just got to save up the money…the M2 looks like a fantastic body, i have never used one but i find myself drawn to the M2-R, perhaps i will get it some day. having a light meter in camera is pretty convenient, but with constant shooting i find myself better understanding the light around me as well as using the sunny 16 rule. i really like your instagram account, keep up the good work! 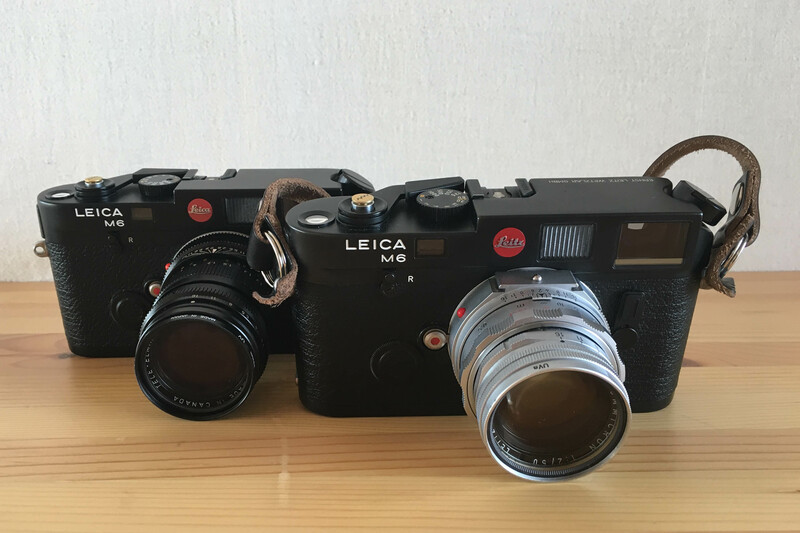 This gave me a chuckle, for me the M6 is also the ultimate film Leica. My journey was actually the reverse of your’s as the M6 was my first film Leica. I was so impresses that I felt compelled to try more M’s!!!! Surely I’m not the first person that has felt that urge…. I suppose I was thinking that perhaps I’d find an even better model. I have tried and still own them all, M2, M3, M4, M5, M7, MP, whilst other M’s have certain redeeming qualities it’s always the M6 I gravitate back to because it feels like a little bit of “magic” in my hands. Anyone that’s shot these cameras will understand that the rationale for shooting them my not always be based on logic 🙂 It also has a fabulous meter!! thanks for the comments Jason! now that i have found the M6, the lust for other cameras has all but disappeared. (well, a makina 67 would be wonderful, but i will wait on that for a bit.) the M6 does have a bit of magic about it, and i absolutely love to have it with me everywhere i go! A very interesting story, thanks for sharing! it is my understanding that the MP and the M6 are not the same; the MP is more attune to the M3 and built to tighter tolerances. when i did call shops in Japan to see if they would look at my camera, they all said they were unable to. even Kanto Camera refused to look at my MP. i was left sending the camera to Leica Germany. i do not want to put you off buying one, especially if you are keen to buy one! just be sure that the camera is in top condition! No problem, thanks for the info! Nice story we many share in a way or some other. And pretty photos. Nothing much else to add. Fortunately I got finally de-idiotized from Leica and use the M7 and M8 with joy. By the way, is possible to get back to the original M8 firmware? I made the mistake to upgrading to 2.024 and it seems the reason the camera literally devoured a great bunch of photographs a couple of times. It strikes me that you made a lot of mistakes and had a lot of misfortune as well as appalling customer service. I was for years a Leica skeptic because of the fan boys who buy them as a status symbol and don’t take photos (it’s no wonder that so many old Leicas are in perfect condition). Then a pal of mine got an M2 , within seconds of getting my mitts on it I understood the appeal. I like having a separate light meter, so the M2 was the one I got. The only thing I don’t like is the loading even though it has the later ‘quick loading’ take up spool. Were I to be exclusively a Leica user, I’d go for the M-A as it returned to the build quality of the M3 & M2 and is in current manufacture. The comments about leaving a camera out in the sun seem like nonsense to me. Under normal conditions the lubricants should function correctly, the temperature range is quite wide. Next time why not go to JCH, he seems to have a good reputation. true, mistakes were made on my part, but looking back now they were due to a lack of knowledge in knowing what i wanted. that is why i wanted to write this piece and share my thoughts on buying a film M. the customer service can be hit and miss though, always good to buy from a shop that you can trust. I enjoyed your account of how you ended up with the right camera, Hokari57! Honest and educational, and perhaps it also shows how luck plays a part in our quests 🙂 But considering the repairability of the M bodies, I’m a bit surprised to hear the reluctance to even consider looking at the MP and its sticking shutter release? Strange. I notice the ubiquitously mentioned Youxin Ye does work on the MP (but not the M5 or CL). thanks Lars! i could not believe that noone would look at the MP. at first i thought it was just like a M6 or M7, but upon further research it is a totally different camera and most camera shops are not equipped/trained to work on it. the repairability and longevity of film M’s are what drew me to the camera in the first place. you are right about the luck part, that can be a huge factor! i hope you have better luck that i did!! I carry a small moleskin notebook with my gear. Inside the front cover I’ve pasted a copy of an exposure guide used by the LIFE magazine photogs back in the day. If the meter fails, I’ve got access to a guide that has about a 90% accuracy. You can always bracket. An old newspaper photographer who used M2 & M3’s gave me this tip (which I do use): get a couple of spare take-up spools and have film threaded onto them; keep them in your bag. When it’s time to change out a roll, you just pop a new film/spool into the camera. I used the Leica ‘quick-load’ modification kit on my M2 and I found the pre-load spools are faster. When you find the need to reload the spools, it’s usually time for a coffee of a beer anyways, so reload, jot down some notes in the aforementioned moleskin and recharge. I have thought from time to time that the M7 really should have been badged as a M6E or M6.2. There is a re-designed shutter, but the M6 & 7 are virtually identical in size. I just today took possession of a Minolta Rokkor-M 40mm f/2.0 lens. I find the 50mm a bit too tight for my style of photography, and it seems everyone & their brother uses the 35mm wide-angle/M combination. Also, the Rokkor mounted on the M is a lighter unit. I’ve got a chronic back injury due to a nasty accident, and every little bit of weight I can save helps out my back. I won’t butcher the lens or jam the finder selection lever to bring up the 35mm frame lines; I’ll just compose as usual, and know I’ve got a bit more. A couple of rolls and I’ll be used to it. Then, if Sherry ever gets around to fixing my CL, I’ve got a lens ready for it. BTW, I got the Rokkor from JCH – nice guy, good service and quick mailing from Japan to the US. Merry Christmas and/or Happy Holidays to all! wow, i had a rokkor M 40 lens, it was fabulous! however i made the biggest mistake and sold it…really regret it too. fantastic lens, light and very sharp. enjoy using it! as for framing, just eyeball it. i found that the 40mm length is closer to the 35mm lines, just slightly inside of them, rather than the 50mm lines. thanks for the kind words! enjoy your M6, it is a wonderful camera! as for Leica glass, once you get started there can be no stopping! Mike, the Jupiter should make a very nice 75mm (equivalent) portrait lens on your Fuji, and using one of the negative film simulations. Used this way, any problem it may have with registration won’t, of course, matter. Mike, I hope you will be lucky with your Jupiter 3 acquisition as the 1mm difference in registration will mean you won’t obtain correct focus over the full range of the lens. It may be out over the entire focusing range, or just a part of it, either distance will be favoured or closer. I did read a short while ago, but haven’t been able to find the post for you, that a number of Russian lenses, whilst ostensibly in L39 mount, and mostly for the Fed cameras I understand, don’t fully couple with a Leica rangefinder over the entire focusing range. And if you regularly shoot wide open or at f2 you may find it troublesome. Best to test by setting up 3 markers at set spaces in feet, note what distance they are from you and then focus on them and see if they are sharp. If you position them, say, 6″ apart and focus on the central one, you will readily see what distance the lens is really focusing at, whether it is short or long. You will need to repeat over short, medium and longer ranges to fully test the lens. Also shoot wide open so DoF isn’t covering any discrepancies. Personally, I feel the Jupiter 3 is overpriced for what it is. Unless you fancy its oldie-worldie rendition. A better alternative would have been the Cosina Voigtlander Nokton f1.5/50mm. This is a superb lens for the money. It is in screw mount so you would still need an adapter. I’ve used mine on a IIIf, M3 and M6, and just for fun, on my Canon 7, and it proves you don’t need to spend Leica money on a quality lens. That was a interesting read, and I totally agree that the M6 is an awesome camera, but I too am baffled by the difficulty you had getting your MP serviced. I had mine serviced (fixed a dragging shutter curtain, general CLA) last year in Melbourne by Vic Plant for just a few hundred dollars, and he even commented that it wasn’t any different to servicing an M6. Prior to my going with Vic, Bellamy provided a couple of quotes for CLA in Japan, so there are definitely Tokyo shops that’ll do it. In terms of returning an MP to Leica for service, several people have mentioned that the top tier third party people actually do a better job than Leica. just like you Paul, i was really baffled at the lack of service for the MP. after calling at least 10 or so shops, including the legendary Kanto Camera, i was told by everyone that they cannot touch it due to such and such a reason. my problems with the MP were almost three years ago, so now perhaps people are starting to service them without needing to go through Leica? you are correct about the third party service! if you find a good repairman, hang on to them! those people do great work! My love affair with the newer Leica film bodies soured with a mint MP body, which had an intermittent light leak. I sent it out for servicing THREE times, and after each expensive servicing it came back with the same miserable light leak. I finally got rid of it and good riddance. I’ll stick with my old M3 and IIIf, thank you very much. wow, that is horrible…i am very sorry to hear that. glad that you have a M3 and an IIIf that you can rely on! The posted image is interesting as it exhibits both a streak and a vertical fog. IMO, this is clearly evidence of a shutter problem and nothing to do with light seals and points to the self-capping curtains not capping properly, or intermittently. As the poster said, he was able to pin this down to his particular use and habit of winding on until the winder stops, and should this happen mid-wind, it will position the capped curtains partway across the frame. At this point the film is now pulled past the curtains and if there is a light leak, it would leave the streaking as in the image. With the streaking, the light is limited to a certain part of the cap, but there is also a vertical fogging and which suggests the light leak occupies more of the capping area. But that said, why does it not fog the film over its length as the film is rewound, and which I would expect if it was continually leaking light? Another possibility related to the shutter not capping properly could be that the only other time the cap moves across the film is when it is wound on. But as the film is now moving as well, I would anticipate the fogging would not be a streak but quite localised as the film moves more or less in tandem with the cap. So my money would be on the explanation given by original poster. Inteteresting read. I had a similar evolution and found the m6 also to be my fav. Best of both worlds… Light meter, but fully mechanical. Mp m3 of what not. All leicas are built to last right? thanks Martijin! you are right, all leicas are built to last, but the M6 holds a special place for me. enjoy it! I’d like to try an M7 and also an MP. Don’t really like the look of the plastic ISO dial on the M7, but that would not be a deal breaker for me (nor are brass covers etc.) – it’s really the reliability and results that matter most (to me). To date my M6 has been rock solid, aside from above, and that was a pretty quick fix. thanks for the advice Guy! i have never heard about the distorted rewind knob…something to look out for and be careful about. makes sense though, the knob is at an angle as opposed to the M3/M2/MP style…again, thanks for the heads up! Btw, I would not generally endorse a DIY approach but I had to take the knob off to see the extent of the problem (and whether to ship off to a service centre). If anyone has a recommended list of technicians in the UK that would be appreciated? 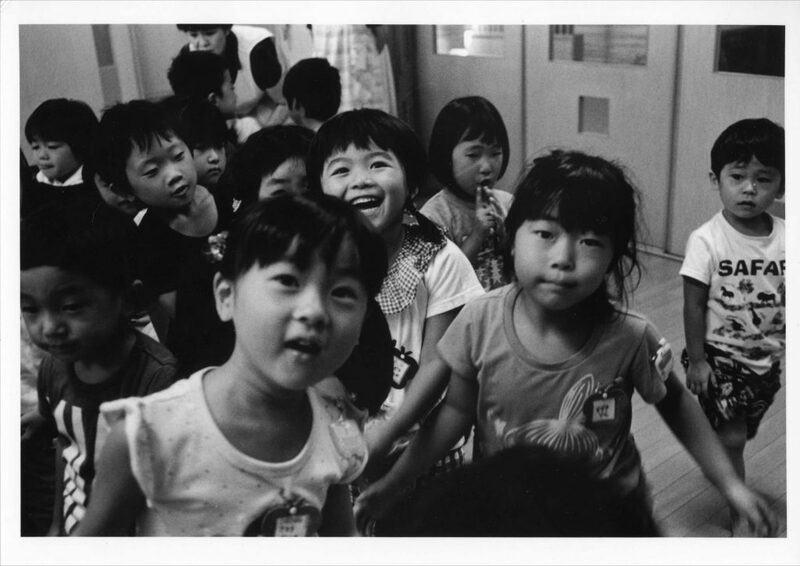 cannot help you with the UK, but if you care to, Kanto Camera in Japan is hard to beat! you can also deal directly with them, as they can speak english. definitely worth it! It’s funny that Guy mentioned the rewind knob…when I had my M6, I also had to have the rewind knob repaired. I checked my camera files, and I found the invoice from Sherry Krauter (Golden Touch Camera Repair) replacing the knob. It was about 5 years ago. If I remember, it virtually unscrewed from the shaft and fell off. Totally unexpected, but fixable. I’ve got the M7. Honestly, the plastic ISO knob is a non-issue. The M7 is tough…I tripped & fell onto my M7 hanging around my chest. Got a hellava a bruise, and shattered my right elbow when I put out my arm to break my fall. The surgeon (who fitted the implants & other parts to repair my arm) looked at me funny when I told him what happened, and said ‘no camera is worth it.’ I replied: ‘but, it’s a Leica.’ He looked at my wife, and she said to him, you need to use them to understand. The camera still works fine. I’m still married. Arm works ok, I can still take photos w/out any difficulty. but true, you have to use one to understand, cannot say it better myself! glad that everything worked out in the end for you dcastelli! I loved my M-6, my favorite camera of all time with a 35mm Summicron an 50 Summicron 90% of the time. Quick question, according to your passage, who do you think is the best camera repairman in Japan? Looking for a repairman to fix my cameras in the future. Thanks!